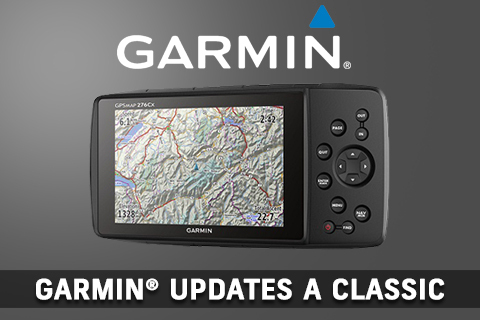 OLATHE, Kan.-Garmin International Inc., a unit of Garmin Ltd. (NASDAQ: GRMN), today announced the GPSMAP 276Cx, an upgraded reinvention of the classic 276C. Since its launch in 2004, the 276C has proven to be a versatile GPS navigator ready for land and sea. The 276Cx provides all the classic functionality of the original with all the latest technological improvements of the last decade in a device truly as unique as the customer who desires such performance. The 276Cx now features both GPS and GLONASS for better performance in heavy cover, optional external antenna support (sold separately), HotFix for faster satellite acquisition and wireless connectivity features1. There’s a larger, sunlight-readable 5-inch display, as well as a barometric altimeter and 3-axis compass, which were not present in the 276C. With a variety of powered mounting options, as well as Li-Ion and AA battery support, the GPSMAP 276Cx is ready to go above and beyond the legacy that began with the original 276C. The GPSMAP 276Cx comes preloaded with a worldwide basemap with shaded relief, as well as a subscription to BirdsEye Satellite Imagery 2 to see real-life terrain views right on the device. Additionally, the GPSMAP 276Cx is compatible with a variety of optional maps including Garmin HuntView™, which provides satellite imagery, landowner and parcel information to make your next hunting trip a success. Other supported maps include Garmin TOPO maps, BlueChart® g2 HD marine charts, Custom Maps, raster maps and turn-by-turn routing on City Navigator® and TOPO US 24K maps. The device’s 8 GB of internal memory can also be expanded using a microSD™ card (sold separately). The GPSMAP 276Cx is the latest solution from Garmin’s expanding outdoor segment, which focuses on developing technologies and innovations to enhance users’ outdoor experiences. Whether hiking, hunting, geocaching, golfing, boating or dog training, Garmin outdoor devices are becoming essential tools for outdoor enthusiasts of all levels. 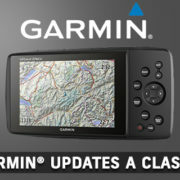 For more information about Garmin’s other outdoor products and services, go to http://www.garmin.com/outdoors, www.garmin.blogs.com and http://twitter.com/garmin. Compatible smartphone required. See Garmin.com/BLE for more details. For more information on water ratings, see Garmin.com/waterrating. Garmin International Inc. is a subsidiary of Garmin Ltd. (Nasdaq: GRMN). Garmin Ltd. is incorporated in Switzerland, and its principal subsidiaries are located in the United States, Taiwan, and the United Kingdom. Garmin, GPSMAP, BlueChart, City Navigator and ANT+ are registered trademarks, and HuntView and Garmin Connect are trademarks of Garmin Ltd. or its subsidiaries.The Bluetooth work mark and logos are registered trademarks owned by Bluetooth SIG, Inc., and any use of such marks by Garmin is under license. Wi-Fi is a registered trademark of the Wi-Fi Alliance. The Bluetooth work mark and logos are registered trademarks owned by Bluetooth SIG, Inc., and any use of such marks by Garmin is under license. Wi-Fi is a registered trademark of the Wi-Fi Alliance.